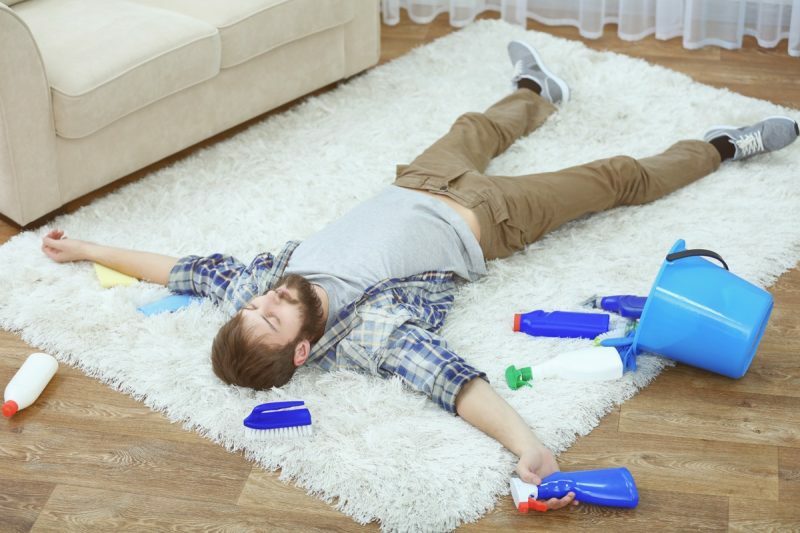 It is easy to imagine a self-care solution for cleaning the carpets. So much so, that you might even believe that your carpets can actually be cleaned by using a domestic vacuum cleaner. However, the clause put by carpet cleaners suggesting you clean the carpets using commercial cleaners regularly proves otherwise. It also suggests that the assumption of carpet vacuum cleaning is wrong. Commercial cleaning is not only a legitimate way to keep the carpets clean and germ-free but also a necessary measure to ensure your health against dirt and unwanted particles. All the major carpet companies put up a condition that the carpets must be cleaned by professionals once in a year or two. Otherwise, no warranty claims will be honored or entertained. That time gap reduces if there is a lot of activity going on at your home, especially with the pets being around. It is important that you don’t let the dirt remain accumulated in the depth of the carpet’s fabric, as this might be detrimental to the longevity and appearance of the carpet fibers. Only steam can effectively remove the dirt from the surface, but removing all the particles right from their root is not possible without the help of professional cleaners. It is also important to remove the moisture that gets absorbed in the carpet during the cleaning process, which can be effectively performed by a professional carpet cleaning company. The choice of carpet is equally important even before you consider how to keep them clean. A wrong choice may lead to frequent need for professional steam cleaning as some carpets are susceptible to dust, especially in regions where pollution rate is high. The low pile range of carpets are therefore the best carpets to opt for, in regions prone to particulate pollution. In low pile carpets, the fibers are of shorter length making it easier to clean. It would be even better if the fibers are natural such as wool. Nylon-based carpets are susceptible to dust and cleaning them is a difficult task for home-owners. On the other hand, vacuum cleaning should not be entirely dismissed as an option, as it also necessary to reduce the frequency of steam cleaning. Carpets must be cleaned with the vacuum at least once in every week so that the surface dust is easily removed before they can reach the bottom and segregate. If the area suffers from high pollution, then the frequency of vacuum cleaning must be increased to keep the carpets clean and healthy. It is important to understand that a stain should not be removed by rubbing them, as that will lead to the stains spreading to a larger area. Instead, use blotting techniques by first blotting them wet and then blotting them dry. Do the cleaning immediately after any stain occurs to prevent it from spreading.